Hassan tower. The Hassan Tower is a formidable sight in the distance, it stands tall and proud against the North African sun and has done since the latter part of the 12th century, a dramatic legacy of Moroccan Almohad architecture. 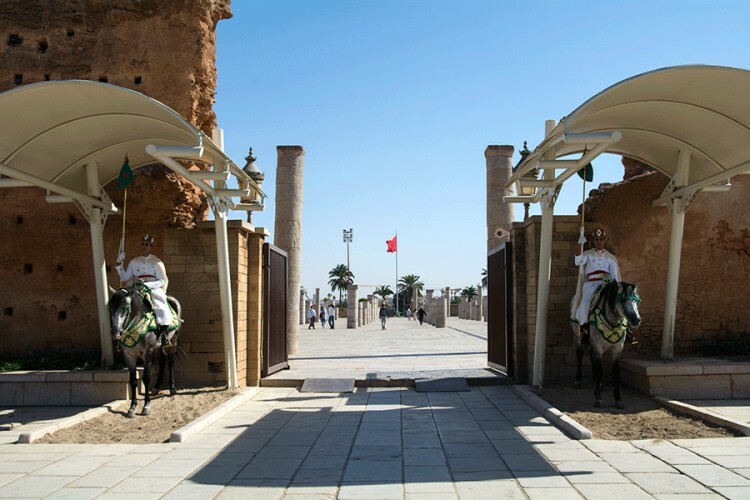 Had it been completed as a full mosque, as was its founder’s intentions, it would have been the largest mosque in the world, and a place of learning and education throughout Rabat. But this was not to be. Originally the Sultan had commissioned the world renowned architect Jabir, who had already completed the sumptuous Mosque in Sevill (now the Giralda Cathedral and bell tower), and the Koutoubia Mosque in Marrakech, to build it on a massive scale.